Finally, a direct connection to your Beolab 3500 or LCS9000 speaker without Masterlink! Use this cable to connect your B&O Beolab 3500 or LCS9000 speaker to an iPod, non-B&O TV or Airport Express and stream your music with Airplay from your iPhone or Apple device. Finally, a direct connection to your Beolab 3500 or LCS9000 without Masterlink! 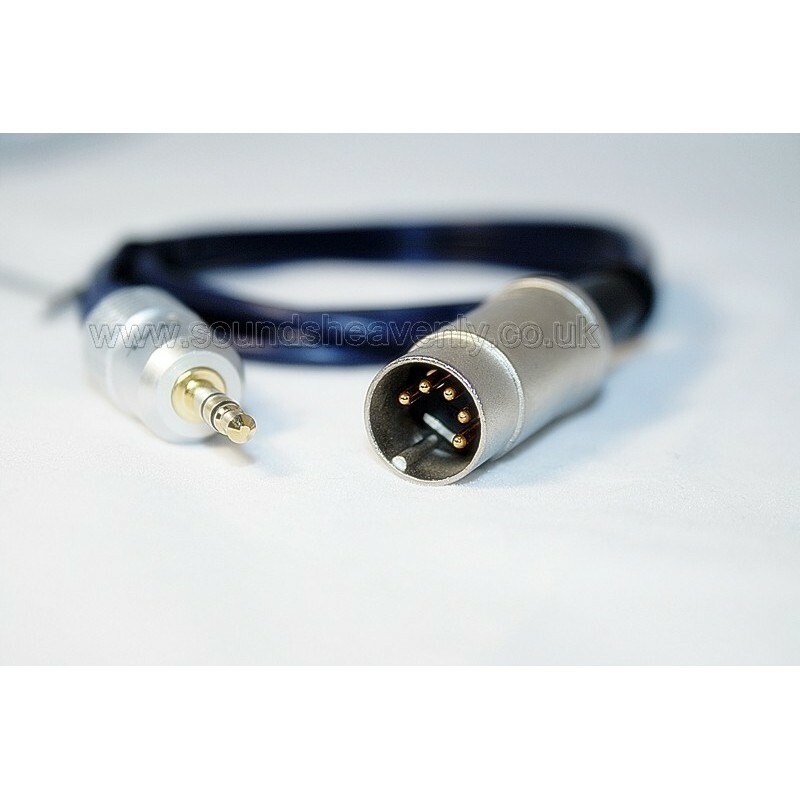 This high quality cable will allow you to connect a Bang and Olufsen Beolab 3500 or LCS9000 link room speaker directly to your Airport Express, iPod, non-B&O TV or any device with a headphone socket. This will let you stream iTunes music and other audio from your iPhone, iPad or Mac wirelessly to your Bang and Olufsen Beolab 3500 or LCS9000 speaker via the Powerlink or MCL socket. Compatibility: This cable will fit both versions of Beolab 3500. Beolab 3500 mk.1 and LCS9000 speakers have serial numbers lower than 19343452 and have a socket marked "MCL", so please order the mk.1 cable option for these speakers. If the serial number of your speaker is 19343452 or above and the socket is marked "POWERLINK", you have the mk.2 speaker, so please order the mk.2 cable option. Please check compatibility before you buy - if you are in any doubt, please ask! A B&O remote (either Beo4 or Beolink 1000) is needed to set the speaker to MCL mode (Beolab 3500 mk.1/LCS9000) or Powerlink mode (Beolab 3500 mk.2) each time it is switched on. First, please set the speaker to standby mode using the "red dot" button on the remote and unplug the Masterlink cable from the speaker (if fitted). For Beolab 3500 mk/1 or LCS9000, please press MENU 0 4 GO on a Beo4 or MENU 0 4 PLAY on a Beolink 1000, or for Beolab 3500 mk.2 please press MENU MENU 0 4 GO on a Beo4 or MENU MENU 0 4 PLAY on a Beolink 1000 (please ensure that the "GO" or "PLAY" button is only pressed briefly). Volume control is then managed from the connected device (eg. TV, iPod, etc). To turn off the speaker, press the “Power Off” button on the remote as usual. We chose 5 pin DIN cables for the Beolab 3500 mk.2 cables as they fit and work perfectly in the 7 pin DIN Aux sockets on most B&O systems. Little known fact: the extra two pins are only used for sending remote control data to other B&O products - hence they are spare in this application. Our Beolab 3500 mk/1 and LCS9000 cables do need the extra two pins, so these have 7 pin plugs fitted! A B&O remote (either Beo4 or Beolink 1000) is needed to set the speaker to MCL mode / Powerlink mode each time it is switched on. To turn off the speaker, press the “Power Off” button on the remote as usual.